Richard Lewontin is the winner of the 2017 Morgan Medal. We are pleased to announce that Richard C. Lewontin, PhD is the 2017 recipient of the Thomas Hunt Morgan Medal for lifetime achievement in the field of genetics. This award recognizes Lewontin’s extensive impact on our understanding of evolution, a broad and deep influence that has shaped the field. An unprecedented 160 distinguished biologists co-signed a letter of support to nominate Lewontin for the Morgan Medal. Lewontin is the Alexander Agassiz Professor of Zoology in the Museum of Comparative Zoology, Emeritus and a Professor of Biology Emeritus in the Department of Organismic and Evolutionary Biology at Harvard University. “While Richard Lewontin’s research contributions to genetics have been immensely impactful, it is the rich vitality of his conceptual legacy that is impossible to overstate,” says Andrew Clark, PhD (Cornell University). In the 1960s, Lewontin worked on models that show how physical linkage between two genetic loci affect changes in allele and haplotype frequency during evolution. This work set the stage for today’s wealth of studies that use linkage disequilibrium to make inferences about evolutionary change and relatedness. In 1966, Lewontin and John Hubby published a pair of papers that revolutionized evolutionary biology. Their survey of differences in protein electrophoresis between individual wild fruit flies was the first to show that molecular variation was widespread in nature, and they were among the first to articulate the likelihood such variation might have little effect on the organism’s evolutionary fitness. The study inspired a huge number of empirical population genetic studies and theoretical work to explain the findings. The 1966 papers were honored last year as among the most significant ever published in the 100-year history of the journal GENETICS. Lewontin also contributed to the field of human genetics, showing in 1972 that the majority of human variation is shared between geographic groups and thus arguing that there is little genetic basis to race. He also discussed the challenges of inferring heritability in human genetic studies, an issue that has continued to plague the many genome-wide association studies performed in human populations. 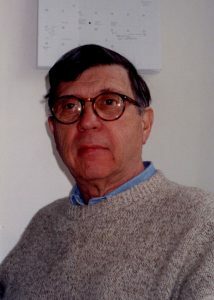 Lewontin also changed the field of evolutionary biology through his writings. For example, his 1974 book The Genetic Basis for Evolutionary Change discussed how evolution occurs on the separate levels of the genotype and the phenotype. Andrew Clark describes its impact: “This book launched the career of dozens of today’s more prominent population geneticists and framed the fundamental questions of the field.” In 1979 Lewontin and Stephen Jay Gould published their enormously influential article “The spandrels of San Marco and the Panglossian paradigm” which explains how some of an organism’s traits may not be adaptive but only the side-effects of adaptation in other features. This paper has been cited over 6,000 times. While his many scientific contributions to evolutionary biology, including others not mentioned here, are themselves worthy of recognition, Lewontin has also made a large impact as a mentor to young scientists. His 46 students and postdocs went on to have successful careers, and a large proportion of the population geneticists working today can trace their academic legacy back to Lewontin’s vibrant group. “This success at mentoring is testament to the degree to which Lewontin was able to instill the importance of a rich exchange of ideas and support for people in his lab,” says Clark. The Thomas Hunt Morgan Medal is awarded to an individual GSA member for lifetime achievement in the field of genetics. It recognizes the full body of work of an exceptional geneticist. The Medal was established by GSA in 1981 and named in honor of Thomas Hunt Morgan (1866–1945), who won the Nobel Prize in 1933 for his studies of chromosomes and their role in heredity. The award will be presented to a representative of Lewontin at the 58th Annual Drosophila Research Conference, March 29-April 2, 2017, San Diego, CA.